The 30-year fixed-rate mortgage (FRM) averaged 4.10 percent with an average 0.5 point for the week ending March 2, 2017. This is down from last week when it averaged 4.16 percent. A year ago at this time, the 30-year FRM averaged 3.64 percent. Millennial borrowers for new home purchases accounted for 84 percent of closed loans according in January 2017. 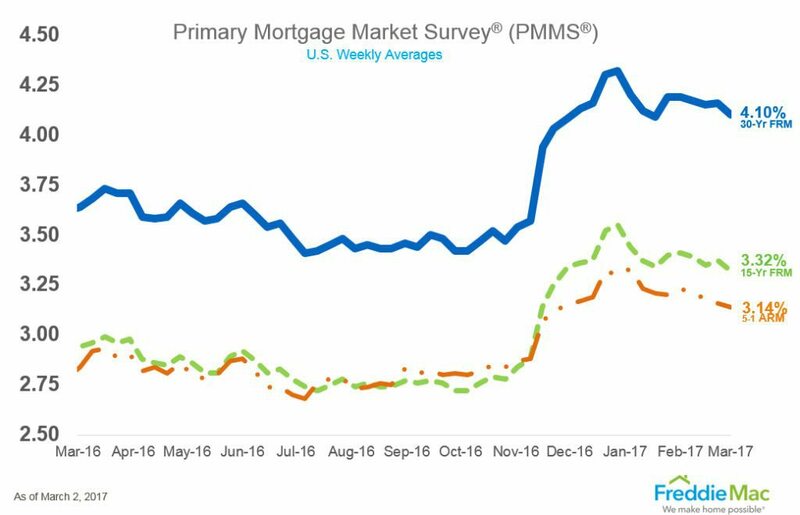 In December, 82 percent of closed mortgages were for new home purchases, up from 77 percent from August through November. More than 1.7 million (1,748,177) loans were originated on U.S. residential properties (1 to 4 units) in Q4 2016, down 15 percent from the previous quarter but up 2 percent from 2015. More than 7.3 million loans were originated in 2016, up 2 percent from 2015 to the highest total since 2013. 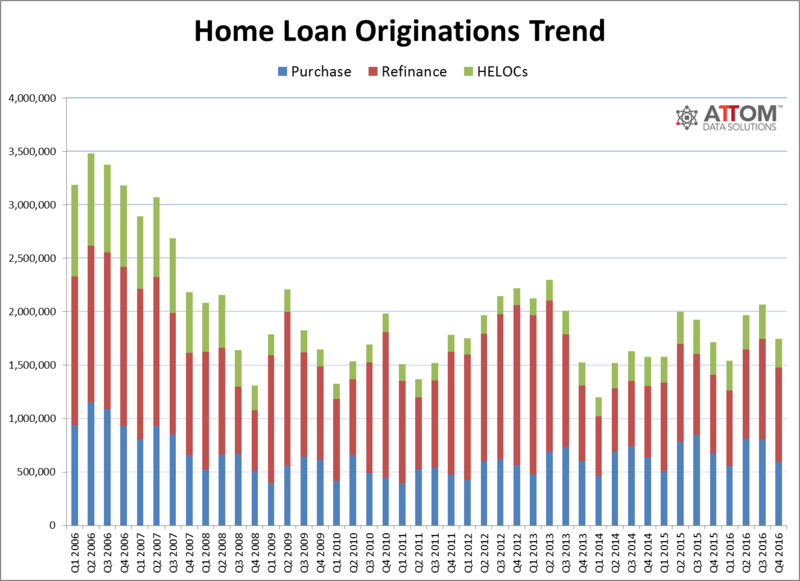 Total dollar volume of loan originations in the fourth quarter increased 8 percent from a year ago to more than $461 billion ($461,291,961,501).